For centuries, the vast Ironship Trading Syndicate relied on drake blood—and the extraordinary powers it confers to those known as the Blood-blessed—to fuel and protect its empire. But when the drake blood lines began to fail, a perilous expedition was mounted to secure them. Claydon Torcreek survived the fraught mission through uncharted lands in pursuit of a myth that might have secured his people’s future. Instead he found a nightmare. The legendary White Drake was awoken from a millennia-long slumber, with a thirst to reduce the world of men to ashes, and the power to compel an army of Spoiled slaves to do it. 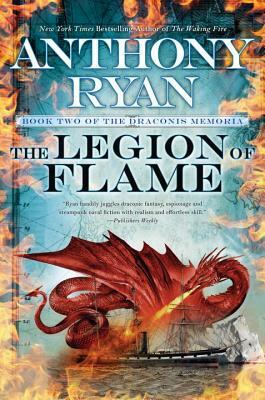 Anthony Ryan is the New York Times bestselling author of the Raven’s Shadow novels, including Blood Song, Tower Lord and Queen of Fire, and the Draconis Memoria series, including The Waking Fire. He lives in London, where he is at work on his next book.